What is the Alternative Right? This is the opening essay of a forthcoming anthology called The Alternative Right. The Alternative Right does not have an essence, but it does have a story, a story that begins and ends with Richard Spencer. The story has four chapters. First the term “Alternative Right” was coined in 2008. Then the Alternative Right webzine was launched on March 1, 2010 and ran until December 25, 2013. When it was first coined, the Alternative Right simply referred to an alternative to the American conservative mainstream. When it became the name of a publication, it functioned as a broad umbrella term encompassing such schools of thought as paleoconservatism, libertarianism, race-realism, the European New Right, Southern Nationalism, and White Nationalism. By the time the Alternative Right webzine was shut down, however, the term Alt Right had taken on a life of its own. It was not just the name of a webzine, but a generic term for Right-wing alternatives to the conservative mainstream. The second chapter is the emergence in 2015 of a vital, youth-oriented, largely online Right-wing movement. This movement encompassed a wide range of opinions from White Nationalism and outright neo-Nazism to populism and American civic nationalism. Thus this movement quite naturally gravitated to the broad generic term Alt Right. The new Alt Right threw itself behind Donald Trump’s run for the presidency soon after he entered the race in 2015 and became increasingly well-known as Trump’s most ferocious defenders in online battles, to the point that Hillary Clinton actually gave a speech attacking the Alt Right on August 25, 2016. The third chapter is the Alt Right “brand war” of the fall of 2016. The Alt Right “brand” had become so popular that it was being widely adopted by Trumpian civic nationalists, who rejected the racism of White Nationalists. White Nationalists began to worry that their brand was being coopted and started to push back against the civic nationalists. The brand war ended on November 21, 2016 at a National Policy Institute conference with the incident known as Hailgate , in which Richard Spencer uttered the words “Hail Trump, hail our people, hail victory!” and raised his whiskey glass in a toast, to which some people in the audience responded with Hitler salutes. When video of this went public, civic nationalists quickly abandoned the Alt Right brand, and the “Alt Lite” was born. The fourth chapter is the story of the centralization and decline of the Alt Right, largely under the control of Richard Spencer. This period was characterized by polarization and purges, as well as the attempt to transform the Alt Right from an online to a real-world movement, which culminated at the Unite the Right rally in Charlottesville, Virginia on August 11–12, 2017. Both trends led the Alt Right to shrink considerably. Some abandoned the brand. Others abandoned the entire movement. The remnant has retreated back to its strongholds on the internet. As of this writing, there is no fifth chapter, and the Alt Right’s future, if any, remains to be seen. Like cancer, there may be no stage five. The Alternative Right brand first emerged in the fuzzy space where the paleoconservative movement overlaps with White Nationalism. The term “paleoconservatism” was coined by Paul Gottfried, an American Jewish political theorist and commentator. Paleoconservatism defined itself as a genuinely conservative opposition to the heresy of neoconservatism. The paleoconservative movement was a safe space for the discussion and advocacy of everything that neoconservatism sought to abolish from the conservative movement: Christianity, tradition, America’s white identity, an America-first foreign policy, immigration restriction, opposition to globalization and free trade, the defense of traditional/biological sexual roles and institutions, and even—although mostly behind closed doors—biological race differences and the Jewish question. Aside from Gottfried, the leading paleocons included Samuel Francis, who openly associated with White Nationalists; Joseph Sobran, who was purged from National Review for anti-Semitism and who also openly associated with White Nationalists; and Patrick Buchanan, who stayed closer to the political mainstream but was eventually purged from MSNBC for “racism” because his book Suicide of a Superpower  defended the idea of the United States as a normatively white society. In 1999–2001, William H. Regnery II played a key role in founding the Charles Martel Society, which publishes the quarterly journal The Occidental Quarterly, currently edited by Kevin MacDonald. In 2004–2005, Regnery spearheaded the foundation of the National Policy Institute, which was originally conceived as a vehicle for Sam Francis, who died in February of 2005. NPI was run by Louis R. Andrews until 2011, when Richard Spencer took over. Both the Charles Martel Society and the National Policy Institute are White Nationalist in orientation. The Occidental Quarterly is also openly anti-Semitic. But at the same time Regnery was involved with CMS and NPI, he was also working with Jewish paleocon Paul Gottfried to create two academic Rightist groups that were friendly to Jews. First, there was the Academy of Philosophy and Letters,  of which Richard Spencer was reportedly a member. But Regnery and Gottfried broke with the Academy of Philosophy and Letters over the issue of race, creating the H. L. Mencken Club, which Gottfried runs to this day. The Mencken Club, like the Charles Martel Society and NPI, is a meeting ground for paleoconservatives and White Nationalists, although it is also friendly to Jews. Richard Spencer began as a paleoconservative, entered Regnery’s sphere of influence, and emerged a White Nationalist. In 2007, Spencer dropped out of Duke University, where he was pursuing a Ph.D. in modern European intellectual history. 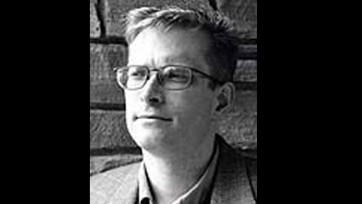 From March to December of 2007, Spencer was an assistant editor at The American Conservative, a paleoconservative magazine founded in 2002 by Scott McConnell, Patrick Buchanan, and Taki Theodoracopulos in opposition to the neocon-instigated Iraq War. By the time Spencer arrived, however, Buchanan and Taki had departed. After being fired from The American Conservative, Spencer went to work for Taki, editing his online magazine Taki’s Top Drawer, later Taki’s Magazine, from January of 2008 to December of 2009. Taki thought his magazine was stagnant under Spencer’s editorship, so they parted ways. With money raised through Regnery’s network, Richard Spencer launched a new webzine, Alternative Right (alternativeright.com) on March 1, 2010. The phrase “alternative right” first appeared at Taki’s Magazine under Spencer’s editorship. On December 1, 2008, Spencer published Paul Gottfried’s “The Decline and Rise of the Alternative Right ,” originally given as an address at that year’s H. L. Mencken Club conference in November. 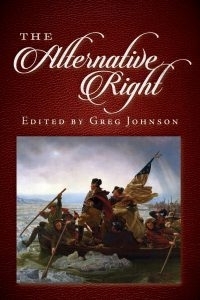 Spencer claims credit for the title and thus the phrase “alternative right,” while Gottfried claims that they co-created it. The Alternative Right in decline is, of course, the paleoconservative movement. The Alternative Right on the rise is the more youthful post-paleo movement crystallizing at the Mencken Club and allied forums. The Alternative Right webzine was to be their flagship. The Alternative Right webzine had an attractive design and got off to a strong start. I particularly respected Spencer’s decision to publish Steve McNallen and Jack Donovan, important writers who were anathema to Christians and paleocons. But after about six months, the site seemed to lose energy. Days would go by without new material, which is the key to building regular traffic, and matters were not helped by the site layout. Instead of simply putting new material at the top of a blog roll, the site had a host of departments, so one had to click six or eight links to discover that there was no new material. After doing this for a couple of weeks, readers would stop coming, waiting to hear about new material by email or on social media. By the beginning of 2012, Spencer had lost interest in editing the webzine. On May 3, 2012, he stepped down and handed the editorship to Andy Nowicki and Colin Liddell. However, in 2013, Spencer was embarrassed by negative press coverage of one of Liddell’s articles and realized that he would always be linked to Alternative Right, even though he no longer had control of its contents. On Christmas day of 2013, Spencer shut Alternative Right down without consulting or warning Nowicki and Liddell. The domain address was repointed to Spencer’s new webzine, Radix Journal, which would never become a household name. Then, after another strong start, Radix too slumped into a low-energy site. Nearly four years of articles and comments at Alternative Right—the collective contributions of hundreds of people—simply vanished from the web. Nowicki and Liddell salvaged what they could and carried on with the Alternative Right brand at blogspot.com, although their site had few readers and little influence. In 2018, embarrassed by the decline of the Alt Right brand, they changed the name to Affirmative Right. Spencer’s greatest mistake in shutting down Alternative Right was not his high-handed manner, which caused a good deal of bitterness, but the fact that he pulled the plug after its name had become a generic term. Just as the brand “Xerox” became a term for photocopying in general, the brand “Hoover” became a verb for vacuuming in general, Sony’s “Walkman” became a generic term for portable cassette players, and “iPod” became a generic term for portable mp3 players, the Alt Right had become a generic term for a whole range of radical alternatives to mainstream conservatism. Imagine Xerox rebranding with a weird sounding Latinate name like Effingo once it had become synonymous with its entire industry. Obviously, a term as useful as Alternative Right was going to stick around, even after being abandoned by its creator. Writers at Counter-Currents, the Alternative Right blogspot site, and even Radix kept the concept of the Alt Right in circulation in 2014 and the early months of 2015, after which it caught on as the preferred name of a new movement. The second phase of the Alt Right was quite unlike the first. The new Alt Right had different ideological origins, different platforms, and a radically different ethos. But it rapidly converged on White Nationalism and carried off some of its best ideas, as well as the term Alt Right. Then it became an international media phenomenon. In terms of ideology, the first Alt Right was heavily influenced by White Nationalism and paleoconservatism. But the new Alt Right emerged largely from the breakdown of the Ron Paul movement, specifically the takeover of the libertarian movement by cultural Leftists, which drove culturally more conservative libertarians to the Right. (In 2009, I predicted that people in the Ron Paul movement would start moving toward white identity politics, so I sponsored an essay contest on Libertarianism and Racial Nationalism at The Occidental Quarterly, which I edited at the time, to develop arguments to ease the conversion of libertarians. ) Other factors driving the emerging racial consciousness of this group were the Trayvon Martin and Michael Brown controversies, the rise of the Black Lives Matter movement, and the beginning of the migrant crisis in Europe. The first Alt Right emerged from a milieu of dissident book publishers and print journals, quasi-academic conferences where speakers wore coats and ties, and middle to highbrow webzines. The new Alt Right emerged on social media, discussion forums, image boards, and podcasts, with the webzines coming later. The most influential incubators of the new Alt Right were 4chan and 8chan, Reddit, and The Right Stuff, especially its flagship podcast, The Daily Shoah, and affiliated discussion forums. The new Alt Right also had a very different ethos and style. While the first Alt Right published reasonable and dignified articles on webzines, the new Alt Right’s ethos was emerging from flame wars in the comment threads below. Whereas the first Alt Right cultivated an earnest tone of middle-class respectability, avoiding racial slurs and discussing race and the Jewish question in terms of biology and evolutionary psychology, the new movement affected an ironic tone and embraced obscenity, stereotypes, slurs, and online trolling and harassment. There were also generational differences between the two Alt Rights. The first Alt Right was the product of a Gen-Xer under the patronage of people born in the Baby Boom and before, who actually had memories of America before the cultural revolution of the 1960s and the massive demographic shifts after 1965, when America opened its borders to the non-white world. The new Alt Right consisted primarily of Millennials and Gen-Zs, some of them as young as their early teens, who were products of a multicultural America with rampant social and familial decay, sexual degeneracy, and drug and alcohol abuse. The first group tended to be conservative, because they had memories of a better country. The latter group had no such memories and tended toward radical rejection of the entire social order. In 2013, I argued that White Nationalists needed to reach out to significant numbers of white Millennials who had graduated from college during the Obama years, often with crushing debts, and who found themselves unemployed or underemployed, and frequently ended up living at home with their parents. I believed that White Nationalists had better explanations for and solutions to their plight than the Occupy Movement, and this “boomerang generation” could be an ideal “proletariat,” because they were highly educated; they were from middle and upper middle class backgrounds; they had a great deal of leisure time, much of which they spent online; and they were angry and disillusioned with the system, and rightly so. As is so often the case, our movement’s outreach gestures went nowhere, but the logic of events drove these people in our direction anyway. Boomerang kids became a core group of the new Alt Right known as the “NEETs”—an acronym for Not in Education, Employment, or Training. When these NEETs and their comrades focused their wit, intelligence, anger, tech savvy, and leisure time on politics, a terrible beauty was born. The Gamergate controversy of 2014 was an important trial run and tributary to what became the new Alt Right in 2015. Gamergate was a leaderless, viral, online populist insurrection of video gaming enthusiasts against arrogant Leftist SJWs (Social Justice Warriors) who were working to impose political correctness on gaming. Gamergate activists turned the tables on bullying SJWs, brutally trolling and mocking them and relentlessly exposing their corruption and hypocrisy. Gamergate got some SJWs fired, provoked others to quit their jobs, and went after the advertisers of SJW-dominated webzines, closing some of them down. Gamergate is important because it showed how an online populist movement could actually roll back Leftist hegemony in a specific part of the culture. Although not everyone involved in Gamergate went on to identify with the Alt Right, many of them did. A leading Gamergate partisan, for instance, was Milo Yiannopoulos of Breitbart, who later gave favorable press to the Alt Right and is now a prominent Alt Lite figure. Moreover, Alt Rightists who had nothing to do with Gamergate eagerly copied and refined its techniques of online activism. Indeed, I would argue that Gamergate was the moral and organizational model for the Disney Star Wars boycott of 2018, which tanked the movie Solo  and cost Disney hundreds of millions of dollars in lost revenue. One of the best ways to understand the evolution of the new Alt Right is to read The Right Stuff and listen to The Daily Shoah from its founding in 2014 through the summer of 2015, when Donald Trump declared his candidacy for the President of the United States. The members of The Daily Shoah Death Panel began as ex-libertarians and “edgy-Republicans” and educated themselves about race realism and the Jewish question week after week, bringing their ever-growing audience along with them. 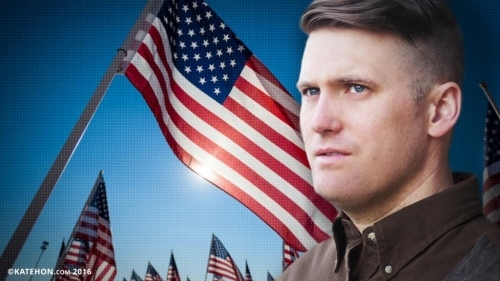 In February of 2015, Mike Enoch attended the American Renaissance conference and afterwards started calling himself a White Nationalist. By the spring of 2015, this new movement was increasingly comfortable with the term Alt Right. When Donald Trump declared his candidacy for the US Presidency on June 16, 2015, most White Nationalist currents found common cause in promoting his candidacy. Trump advocacy encouraged cooperation and collegiality within the movement and provided a steady stream of new targets for creative memes and trolling, and as Trump’s candidacy ascended, the new Alt Right ascended with him. In July of 2015, in the runup to the Republican Primary debates, the new Alt Right scored a major victory by injecting a meme that changed the mainstream political conversation: “cuckservative.” The inception of this meme was at Counter-Currents when on May 2, 2014, Gregory Hood referred to “cuckhold conservatives like Matt Lewis.”  At this point, many in the media and political establishment realized that a genuine alternative to the mainstream Right had arrived. The new Alt Right became skilled in using social media to solicit attention and promote backlashes from mainstream media and politicians. This attention caused the movement to grow in size and influence, reaching its peak when Hillary Clinton gave her speech denouncing the Alt Right on August 25, 2016. An older generation of white advocates saw the notoriety of the Alt Right as an opportunity to reach new audiences. 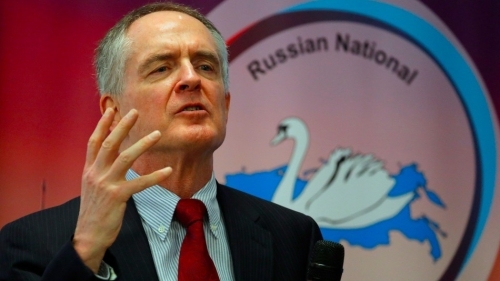 Jared Taylor, who was never thrilled with the Alt Right label, wrote about “Race Realism and the Alt Right.”  Kevin MacDonald wrote about “The Alt Right and the Jews.”  Peter Brimelow spoke at National Policy Institute conferences. David Duke began circulating memes. Although I prefer to describe myself with much more specific terms like White Nationalism and the New Right, I always appreciated the utility of a vague term like Alt Right, so I allowed its use at Counter-Currents and occasionally used it myself. But whenever I use “we” and “our” here, I am referring to White Nationalism and the New Right, not the fuzzy-minded civic nationalists and Trumpian populists who also came to use the term Alt Right. Some have dismissed the Alt Right as a Potemkin movement because it was small, existed largely online, and grew by provoking reactions from the mainstream. 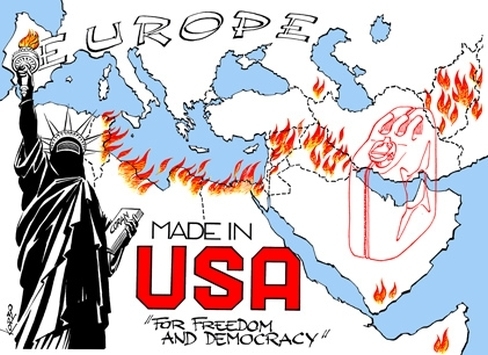 But this ignores the fact that America is ruled by a tiny elite employing soft power propagated by the media. So if the Alt Right is somehow illegitimate, so is the entire political establishment. The new Alt Right was a perfect mirror image of the establishment media: it was a metapolitical movement that promoted political change by transforming values and perceptions, but it was promoting change in the opposite direction by negating the establishment’s values and worldview. The Alt Right’s particular tactics were dictated by the asymmetries between itself and the mainstream media. They had billions of dollars and armies of professional propagandists. We had no capital and a handful of dedicated amateurs. But new software gave us the ability to create quality propaganda at home, and the Internet gave us a way to distribute it, both at very little cost. The establishment’s vast advantages in capital and personnel were also significantly negated by the facts that the multicultural consensus it promotes is based on falsehoods and can only cause misery, and the people who control it are weakened by arrogance, smugness, and degeneracy. They are easily mocked and triggered into self-defeating behavior. Our great advantage was telling the truth about liberalism and multiculturalism and proposing workable alternatives. As long as we could stay online, and as long as we attacked from our strengths to their weaknesses, we went from success to success. But many in the movement were not psychologically ready for success. Thomas J. Main, The Rise of the Alt-Right (Washington, D.C.: Brookings Institution Press, 2018), p. 63. The essays appeared in The Occidental Quarterly, vol. 11, no. 1 (Spring 2011). For a fuller account of Gamergate, see Vox Day’s SJWs Always Lie: Taking Down the Thought Police (Castalia House, 2015). George Hawley, Making Sense of the Alt-Right (New York: Columbia University Press, 2017), p. 68. Le 16 mai, le président russe Vladimir Poutine a inauguré le pont du détroit de Kertch, reliant la péninsule de Crimée au continent russe, sept mois plus tôt que prévu. Ce faisant, il a signalé la détermination de la Russie à remodeler l’équilibre géopolitique et géo-économique de la région de la mer Noire, malgré les sanctions occidentales. Bien que Moscou ne soit pas en mesure de dominer la mer Baltique, ses efforts pour transformer la mer Noire en mare nostrum portent leurs fruits. Au cours des dernières années, le Kremlin a maîtrisé la feinte de la Baltique : en se livrant à des provocations aériennes et maritimes dans une région très surveillée par l’Occident, la Russie a été capable de renforcer sa position en mer Noire sans préavis. Alors que la plupart des stratèges américains s’inquiètent de la région de Suwalki sur la frontière polono-lituanienne en tant que voie potentielle d’invasion russe vers l’Europe centrale, c’est l’accumulation de puissance de la Russie en mer Noire qui devrait préoccuper les décideurs politiques. En utilisant la mer Noire comme un tremplin, la Russie peut projeter sa puissance au-delà de son environnement immédiat – au Moyen-Orient, dans les Balkans et en Méditerranée – et renforcer sa réémergence en tant que grande puissance. John Kerry a déjà évoqué avec malice le fait que cette politique étrangère russe remonte au XIXe siècle. Mais dans ce cas, Poutine et son équipe ont remonté un siècle de plus en s’inspirant de l’illustre prince Grigori Potemkine. Favori de Catherine la Grande, Potemkine a conçu la première annexion de la Crimée par la Russie et a été le premier gouverneur général de la « Nouvelle Russie » (Novorossiia) – territoires qui comprennent aujourd’hui le sud-est de l’Ukraine. Il a défendu le point de vue selon lequel le destin de la Russie se trouvait au sud et plaidé en conséquence pour une expansion dans les Balkans, le Caucase et le nord du Moyen-Orient. Le soi-disant « projet grec » de Catherine – un complot visant à étendre le contrôle russe autour de la mer Noire en démantelant l’Empire ottoman et en le remplaçant par la restauration de ce que l’on appelait autrefois Byzance en tant que marionnette russe – était un projet audacieux, une machination de Potemkine. Le projet grec de Potemkine supposait une inimitié persistante entre les empires russe et ottoman. Au milieu du XIXe siècle, Nicolas Ier et son ministre des Affaires étrangères, Karl Nesselrode, ont tenté de retourner le scénario. Abandonnant l’approche de Potemkine, ils ont cherché à cultiver une amitié avec le sultan ottoman Mahmoud II et ont ainsi coupé les Ottomans de leur partenariat traditionnel avec les puissances d’Europe occidentale. Leur approche a réussi et, en 1833, les deux parties ont signé le traité d’Unkiar Skelessi. En contrepartie de l’adhésion aux exigences stratégiques russes – dont le principal accordait à la marine russe l’accès à la Méditerranée – le Sultan a reçu le plein soutien de l’Empire russe dans sa lutte contre ses opposants internes. Malheureusement pour Nicolas, cependant, ce traité à court terme ne pouvait pas conduire au réalignement permanent de l’Empire ottoman, en particulier compte tenu de l’hostilité du siècle dernier. Après la mort de Mahmoud, son fils Abdulmejid I s’est retourné vers les Britanniques et les Français pour résister à l’empiétement de la Russie. Ce qui est arrivé ensuite est bien connu : la Russie a subi une perte dévastatrice pendant la guerre de Crimée, qui a limité la marche du pouvoir russe vers la Méditerranée. Comme ses deux contemporains, les efforts récents de Poutine auraient recueilli beaucoup de soutien de Potemkine. La prédilection du président à utiliser la station balnéaire de Sotchi sur la mer Noire comme capitale de facto (c’est l’endroit préféré de Poutine pour des sommets bilatéraux avec des leaders mondiaux et des événements tels que le Congrès du peuple syrien) relève la Russie du sud à l’importance que Potemkine envisageait. Potemkine aurait, bien sûr, applaudi ce que la Russie considère comme la deuxième annexion de la Crimée en 2014. Cela a permis à Moscou de refuser aux puissances rivales l’accès au bassin de la mer Noire en cas de conflit militaire. En effet, les éléments clés de l’offensive de la Russie en matière de soft power aujourd’hui – en soutenant le partenariat stratégique avec l’Arménie et en rapprochant la Géorgie de l’orbite russe – préservent ainsi les 250 ans du vieil héritage de Potemkine. Dans le même temps, Poutine s’est lancé avec succès dans la stratégie de Nicolas Ier. Bien que la sensibilisation du tsar au Sultan Mahmoud ait été éphémère, Poutine semble avoir plus de chance de nouer un partenariat stratégique avec Recep Tayyip Erdogan. Ce partenariat de commodité a survécu à plusieurs obstacles, notamment la crise qui a éclaté après qu’un jet russe fut abattu par des avions de combat turcs à la frontière turco-syrienne en 2015. Oui, la Turquie ne reconnaît pas les prétentions de la Russie sur la Crimée et les deux pays ont des différends constants sur la Syrie, mais Erdogan est prêt à compartimenter ces désaccords pour obtenir des avantages pour la Turquie dans d’autres domaines – que ce soit pour obtenir des systèmes de défense aériens S-400 ou des centrales nucléaires. En fin de compte, Moscou cherche à inciter Ankara à ne pas s’opposer à la résurgence de la Russie dans la région de la mer Noire en échange de gains concrets pour la prospérité turque, dont M. Erdogan a besoin pour maintenir sa position politique intérieure. L’alternative indésirable serait que Ankara revienne à sa position traditionnelle d’aide à l’Occident et à la guerre froide, à savoir aider l’Occident et bloquer les ambitions russes. Heureusement, la Russie a plusieurs carottes à offrir à son partenaire. Celles-ci incluent la collaboration sur des questions distinctes en Syrie ainsi que des infrastructures énergétiques. Bien que toujours membre officiel de l’OTAN, la Turquie a accepté ce partenariat stratégique de facto. À l’instar du traité d’Unkiar Skelessi, des siècles auparavant, l’acceptation par la Turquie du partenariat avec Moscou a permis de positionner la Russie en mer Noire, d’ouvrir l’accès russe à la Méditerranée et de faciliter les livraisons d’énergie vers l’ouest, donnant au Kremlin la possibilité de conserver ses instruments d’influence. Cette résurgence des capacités militaires russes en mer Noire remet en cause la stratégie par défaut de l’Occident dans la région depuis l’effondrement de l’Union soviétique : l’expansion inexorable des institutions euro-atlantiques pour englober tout le littoral de la mer Noire et contenir la Russie dans les limites de sa côte Nord-Est. La fatigue de l’expansion, combinée à l’instabilité politique dans la périphérie méridionale de l’Europe, a coupé l’élan du projet occidental. Parallèlement, les actions de la Russie contre la Géorgie en 2008 et en Ukraine en 2014 ont permis à Moscou de mieux contrôler le littoral de la mer Noire en détachant l’Abkhazie de la Géorgie et en s’emparant de la Crimée. Il n’y a pas d’appétit, en particulier en Europe, pour la lourde charge nécessaire pour faire entrer le reste des États riverains de la mer Noire dans l’OTAN et l’Union européenne. Pendant ce temps, la Russie a pris les devants en se présentant comme le meilleur arbitre des problèmes régionaux pressants – de la résolution du statut juridique de la mer Caspienne à la fin de la guerre civile syrienne. Le message de Moscou est clair : les pays de la mer Noire n’ont pas besoin que les États-Unis s’impliquent. L’initiative d’origine occidentale restante dans la région est le corridor énergétique du Sud – un projet visant à développer les liens d’infrastructure et les relations de sécurité nécessaires pour permettre au gaz naturel eurasien d’atteindre les consommateurs occidentaux sans passer par un territoire sous contrôle russe. L’Azerbaïdjan est l’État clef de cet effort. Non seulement l’Azerbaïdjan possède ses propres grandes réserves de gaz, mais il sert également de centre de transit essentiel reliant l’Asie centrale à l’Europe. Pourtant, même ici, la Russie a adapté son approche. La tentative russe impitoyable menée dans les années 1990 pour contraindre l’Azerbaïdjan à renoncer à la « principale route d’exportation » de Bakou à Ceyhan (Turquie) a été remplacée par une approche plus accommodante. Moscou ne cherche plus à bloquer mais à coopter. Le pipeline russe Turkish Stream, actuellement en construction pour relier la partie continentale de la Russie à la Turquie européenne, servira de base à la Russie pour fournir du gaz non seulement à la Turquie mais à l’ensemble de l’Europe du Sud. Cela aidera à étendre l’influence de la Russie dans des pays comme la Bulgarie, la Serbie et la Hongrie – et même en Italie, où un nouveau gouvernement pourrait être beaucoup moins enclin à soutenir des sanctions continues contre Moscou. Dans le même temps, la Russie pourrait également travailler avec l’Azerbaïdjan en approvisionnant le pays en gaz, et ainsi participer indirectement au projet de corridor énergétique du Sud. Cela compromettrait la logique stratégique d’un projet censé réduire l’influence de l’énergie russe en Europe méridionale et centrale. Ironiquement, étant donné que les États-Unis ont identifié la Russie comme un adversaire majeur, la décision de l’administration Trump de se retirer de l’accord nucléaire iranien aurait involontairement renforcé la position de la Russie dans la mer Noire. Pour réussir à réduire l’influence de la Russie, le corridor énergétique du Sud exige un volume de gaz supérieur à celui que l’Azerbaïdjan seul peut fournir. Alors que les sanctions américaines reviennent hanter Téhéran, la colonisation de la mer Caspienne devient beaucoup moins probable. L’acceptation par l’Iran de la délimitation de la mer reposait en partie sur la possibilité de mettre en place des projets conjoints avec d’autres États riverains de la mer Caspienne. Rien n’indique que l’administration Trump est intéressée à émettre des dérogations pour de tels projets. Sans règlement, une autre partie de la stratégie du corridor énergétique du sud vers l’Ouest – la construction d’un pipeline transcaspien pour amener les vastes réserves de gaz naturel du Turkménistan vers l’ouest – sera probablement abandonnée. D’autres efforts visant à exploiter pleinement le corridor sud, soit en échangeant du gaz avec l’Iran, soit en acheminant du gaz iranien vers l’Ouest, sont également en cours. Par conséquent, soit le Turkish Stream russe comblera les lacunes, soit la Russie elle-même deviendra un participant au corridor Sud et, dans les deux cas, l’influence de la Russie ne sera pas moindre. Il y a deux ans, j’ai noté que « la Russie avait fait sa demande pour être l’arbitre du bassin de la mer Noire ». De nombreux analystes américains ont admis que la Russie renforçait ses capacités militaires, mais Moscou a appris à tirer avantage de ces tendances pour soutenir ses objectifs politiques, à une époque où les États-Unis n’ont pas de stratégie cohérente. Aujourd’hui, la Russie est plus proche que jamais de son objectif de devenir la puissance dominante en mer Noire. Nikolas Gvosdev est le président de la chaire « Capitaine Jerome E. Levy » au US Naval War College et un boursier non résident de l’Institut de recherche sur la politique étrangère. Les opinions exprimées sont les siennes. Cet article est issu d'une série de 5, par un auteur enseignant pour l'US Navy. Il est toujours intéressant de lire les points de vue qui y sont développés car même si certains jugements de valeur sont contestables, l'ensemble est assez équilibré dans le cadre de la russophobie endémique en Occident. Curieusement, une semaine après avoir été élu, il semblerait que François Legault doive faire face à un coup de force qui rappelle étrangement la tentative d’assassinat qui avait été ourdie contre Pauline Marois le soir même de son élection en 2012. Le nouvel « homme fort du Québec » vient de déclencher un ouragan au Canada anglais en prenant le taureau des accommodements religieux par les cornes ! En effet, la volonté du gouvernement désigné de la Coalition Avenir Québec (CAQ) d’utiliser la clause nonobstant afin de légiférer sur l’interdiction du port des signes religieux par les fonctionnaires en position d’autorité aura, manifestement, fait déborder la coupe des lobbies libéraux. Dimanche, en journée, quelques milliers de manifestants se sont rassemblés dans les environs du campus de l’Université du Québec à Montréal, aux abords de la Place Émilie-Gamelin, un haut lieu de convergence pour toutes les manifestations organisées par les forces de l’extrême gauche. Les médias dominants ont monté en épingle cette manifestation en mettant en exergue des témoignages qui donnent à penser qu’une révolte spontanée vient d’exploser face à un État québécois coupable de restreindre les droits et libertés de ses minorités visibles. C’est ainsi qu’un des organisateurs de la manifestation, interviewés par CTV News, Al Harrington, affirme que « nous devrions avoir la possibilité d’être libres. Vous devriez être libre de porter ce que vous voulez dans ce pays ». 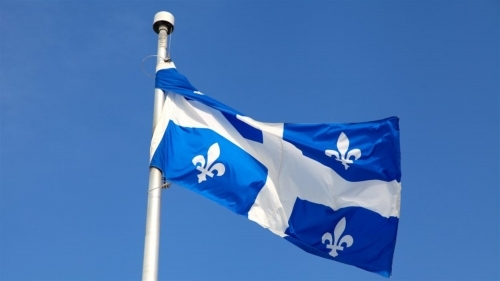 Cet organisateur, qui dira plus loin que Montréal représente toujours un territoire autochtone non cédé, faisait manifestement référence au multiculturalisme canadien. Une autre manifestante, arborant un hidjab, a lancé avec beaucoup d’aplomb ce qui semble être une sorte de fatwa contre le Québec : « le Québec est en train de devenir une mauvaise blague parmi tant de choses, et c’est juste une partie de la blague ». Finalement, le chat est sorti de son sac lorsqu'Al Harrington, qui fait partie de la patrouille de rue montréalaise Wolf Pack Street, a révélé à CTV News que « la majorité d’entre nous a traversé le Canada afin de manifester contre le racisme et les groupes prônant la haine ». On se rappellera le LOVE IN organisé par des lobbies ayant fait venir des bus entiers pleins de Canadiens anglais venus nous enjoindre de ne pas quitter « le plusse beau pays du monde » lors du 2e référendum de 1995. Comme quoi l’histoire aime à se répéter ! GlobalResearch : Nous sommes rejoints par Dmitry Orlov. Il est écrivain, blogueur et analyste géopolitique russo-américain. Son travail s’est concentré sur le déclin et l’effondrement économiques, écologiques et politiques aux États-Unis, et il est également l’auteur de nombreux articles. Ses livres comprennent Réinventer l’Effondrement : L’expérience soviétique et les perspectives américaines et Rétrécissement de la technosphère : Se familiariser avec les technologies qui limitent notre autonomie, notre autosuffisance et notre liberté. Il nous rejoint ici depuis Moscou. Merci beaucoup de revenir dans notre émission Dmitry. Dmitry Orlov : C’est bon d’être avec toi Michael. GR : Maintenant, je pense que la première chose que je voulais évoquer, ce sont les nouvelles récentes. Il y a eu…. récemment, les forces syriennes ont abattu un avion de reconnaissance russe Il-20, mais l’armée russe a fait valoir qu’il s’agissait en fait d’un résultat des actions israéliennes. Je crois qu’elle a annoncé qu’il s’agissait d’utiliser cet avion pour se cacher dans sa signature radar, et c’est en réponse à cet incident que plusieurs batteries de missiles S-300 sont parvenus en Syrie. Je sais qu’il y a des commentaires… Le Saker, par exemple, a dit qu’il s’agit de facto d’une mise en place d’une zone d’exclusion aérienne au-dessus de la Syrie. Nous savons maintenant que les choses ne se sont pas très bien passées jusqu’à présent pour les objectifs impériaux américains dans ce pays. Je me demande quelle est l’importance de ce dernier événement dans le contexte général de ce que nous avons vu ? DO : Eh bien, c’est un peu un signal d’alarme pour les Israéliens parce que la Russie a été extrêmement conciliante en ce qui concerne les préoccupations d’Israël en matière de sécurité. On se rend compte que la rhétorique venant de Téhéran a été assez virulente. L’Iran se dit toujours qu’il a pour objectif de détruire Israël. Il n’y a aucun moyen pour Israël de ne pas réagir à une telle provocation, et le fait qu’il y ait maintenant des troupes iraniennes près de la frontière israélienne et qu’il y ait une fabrication d’armes sur le territoire syrien les inquiète au point que les Russes doivent laisser Israël s’occuper de ses propres problèmes de sécurité. Mais les Israéliens ont agi de la manière la plus irresponsable parce qu’ils ont donné moins d’une minute d’avertissement avant que cette attaque ne se déclenche. Ils ont de plus mal nommé les cibles et ils se sont mal comportés dans l’espace aérien en ce sens qu’ils n’ont pas pu ne pas voir ce gros avion à hélices qui ne représentait absolument aucune menace pour personne. 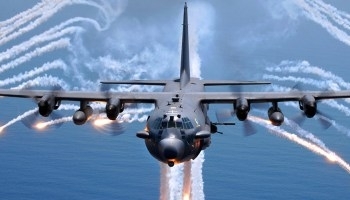 Ils savaient qu’il y aurait des tirs anti-aériens et ils les ont attirés non sur eux-mêmes mais sur cet avion. Il y a eu d’autres malheureuses mésaventures, qui seront toutes révélées à la suite de l’enquête, il est donc encore trop tôt pour le dire. Mais la réponse de la Russie a été essentiellement de dire aux Israéliens qu’ils ne pouvaient plus le faire et qu’ils devaient armer les Syriens d’un système de défense aérienne plus moderne, qui était probablement déjà en place. Il vient d’être remis au commandement syrien. Je ne pense pas qu’il s’agisse d’une évolution majeure. Je pense que la Russie et Israël vont arranger les choses. Je ne pense pas qu’Israël va cesser d’attaquer des cibles sur le terrain en Syrie [en réponse] à des actions qu’il considère comme provocatrices. Il craint beaucoup les roquettes de précision, les armes de précision, construites en Syrie ou introduites clandestinement en Syrie, qui peuvent être introduites clandestinement en Israël ou être tirées sur Israël depuis le Liban ou depuis la Syrie elle-même. GR : Oui, je veux dire, je pense qu’on voit depuis longtemps que la tentative américaine de renverser ou d’instiguer un changement de régime à Damas ne fonctionne pas. Même le projet de balkanisation, l’idée de balkaniser la Syrie d’une manière qui favorise les États-Unis, l’OTAN et leurs laquais impériaux si vous voulez le dire ainsi, il semble y avoir une certaine agitation. Quelles sont, selon vous, les options qui s’offrent aux États-Unis à l’heure actuelle ? À défaut d’une déclaration de se rendre. DO : Eh bien, il n’y aura pas de déclaration de reddition. Ne nous faisons pas d’illusions. Fondamentalement, ce que les États-Unis font en Syrie [est] semblable à ce qu’ils font partout ailleurs : ils génèrent de l’activité afin d’être en mesure de commander plus de systèmes d’armes, plus de munitions, pour essentiellement user du matériel de guerre, parce que c’est ce dont les entrepreneurs ont besoin, et ces entrepreneurs, du complexe militaro-industriel, financent diverses campagnes au Congrès. C’est comme cela que fonctionne l’écosystème politique, et ce qui se passe sur le terrain n’est qu’une sorte de spectacle secondaire. Maintenant, en termes d’objectifs stratégiques, quels qu’ils soient, les États-Unis ne les atteignent certainement pas. Il y a ce campement qu’ils ont à Al-Tanf dans le sud, il y a quelques autres endroits dans le nord où ils jouent avec les Kurdes, ce qui empoisonne leurs relations avec la Turquie. Ils ont complètement détruit Raqqa et n’ont fait absolument aucun effort pour nettoyer cette ville, pour la restaurer, de sorte qu’il y a encore des corps en décomposition enterrés sous des tas de décombres, et cela fait plusieurs mois. C’est essentiellement une atrocité humanitaire qu’ils ont perpétrée à Raqqa, mais ils ne font rien d’autre que gaspiller de l’argent et du matériel de guerre. Et je pense que c’est en fait leur but à ce stade-ci : générer une activité militaire. GR : Eh bien, c’est un point intéressant. Je veux dire, nous ne parlons pas seulement du contrôle impérial des ressources et des secteurs stratégiques, mais aussi de l’idée d’utiliser les activités militaires comme moyen de générer des fonds pour les principaux entrepreneurs militaires, les entrepreneurs de la défense et les intérêts affiliés. Ce qui m’amène à une autre dynamique en jeu, l’armée américaine. C’est énorme, du moins en termes de sommes d’argent dépensées, plus d’une dizaine de fois [… plus que la Russie, NdT] – plus que les 10 pays suivants réunis. La Russie ne dépense pas autant d’argent, mais pourtant elle est stratégiquement beaucoup plus efficace dans la façon dont elle utilise et dépense son argent pour son armée. DO : En termes de parité achat/efficacité, on en est à un dollar russe pour 10 dollars US en dépenses de défense. C’est vraiment le rapport. Les États-Unis doivent dépenser dix fois plus que la Russie pour obtenir des résultats identiques ou inférieurs. Il y a beaucoup de raisons à cela. GR : Donc, en termes de parité, diriez-vous que la Russie est effectivement maintenant un rival militaire des États-Unis ? Peut-elle contrebalancer les États-Unis dans tous les domaines ? DO : Oh, non, absolument pas. Essentiellement, la position russe consiste à s’assurer que les États-Unis et l’OTAN n’ont absolument aucun plan pour attaquer la Russie ou pour attaquer les alliés de la Russie. Pardonnez cette pensée. Mais à part cela, la position de la Russie est complètement défensive, et la position américaine – parce qu’il n’est pas nécessaire de défendre la patrie américaine contre qui que ce soit, personne ne prévoit d’attaquer les États-Unis – est purement offensive. Maintenant, il faut dix fois plus de ressources pour attaquer que pour défendre. C’est généralement compris comme un principe. Ainsi, les États-Unis essaient de mener une politique qui ne les mène pas vraiment à la victoire, ni même à occuper une meilleure position. Cela les conduit à la faillite nationale, rien de plus. GR : Eh bien, qu’en est-il de la dynamique économique qui s’est manifestée dernièrement ? Les sanctions qui sont imposées à la Russie et à l’Iran ? Et je me demande comment cela se passe au sein de l’UE, parce que les États-Unis sont alliés à l’Union européenne, mais les intérêts de l’Union européenne sont touchés par les sanctions, et je me demande donc si nous voyons une rupture potentielle de cette alliance ? Bien qu’il y ait eu des efforts, il y a toujours eu des efforts pour briser une alliance entre la Russie et la Chine, je me demande laquelle de ces alliances est la plus fragile, si je peux m’exprimer de cette façon. DO : C’est vraiment difficile de savoir ce qui va craquer en premier. Il y a certainement une énorme tension entre Washington et l’Union européenne. Il y a une énorme montée de tension au sein même de l’Union européenne, à cause du mantra des libéraux qui ont commencé à faire entrer des quantités illimitées de migrants en Europe. Cela tourne sans aucun doute à un énorme, énorme problème, un énorme conflit interne à l’UE. Aujourd’hui, les relations entre l’UE et la Russie n’ont pas vraiment été gravement endommagées par Washington et par ces sanctions que les Européens ont accepté bon gré mal gré, beaucoup d’entre eux se plaignant, malgré tout, tout au long du processus. En ce qui concerne, par exemple, la coopération énergétique entre l’UE et la Russie, elle est définitivement remise sur les rails, parce qu’il n’y a vraiment pas d’autres options que celle de faire des affaires avec la Russie pour que l’UE se fournisse en gaz naturel, et cela signifie aussi à ce stade de contourner l’Ukraine, car plus personne ne veut vraiment faire affaire avec ce pays. C’est une sorte de calice empoisonné. Pour ce qui est de ce que les sanctions ont fait à l’économie russe, oui, elles leur ont coûté quelques points de pourcentage de croissance du PIB, mais l’effet bénéfique de ces sanctions est souvent sous-estimé. Cela a vraiment réveillé la Russie quant au fait qu’elle doit devenir autosuffisante dans de nombreux domaines. Elle est déjà devenue autosuffisante dans de nombreux domaines et elle travaille très dur pour atteindre l’autosuffisance dans davantage de domaines et pour trouver de nouveaux partenaires commerciaux qui ne la sanctionneront pas. Ainsi, les sanctions ont vraiment réveillé les Russes sur le fait que les Américains ne sont pas leurs amis, qu’ils ne seront jamais leurs amis, et cela les a incité à agir en conséquence. GR : Au sujet de la situation économique américaine, ils ont une crise de la dette insoutenable. On dirait qu’ils ne pourront jamais s’en sortir même en rampant, qu’ils n’auront pas la capacité de maintenir leur trajectoire actuelle. Je veux dire, nous assistons probablement à un autre krach boursier, probablement le plus tôt sera le mieux, et je pense que c’est déjà écrit. Cela ne manquera pas d’affecter la façon dont les États-Unis se comportent dans le monde, même s’ils ne le disent pas à voix haute. Je veux dire, vous l’avez suggéré tout à l’heure. Alors, lorsqu’il s’agit de cette dimension économique, et d’autres pays sont sans doute conscients de la non-durabilité de la situation économique américaine, comment voyez-vous les choses se dérouler ? Les choses vont-elles s’effondrer de façon désastreuse ? Ou est-ce qu’il y aura des gens sournois… des gens qui voudront s’éloigner de ce pôle secondaire, l’axe Russie-Chine-Iran, si vous voulez. Sur le plan économique, comment les gens, comment les pays concurrents vont-ils réagir à ce qui semble être la fin inévitable … et l’effondrement de l’économie américaine ? DO : Eh bien, je pense que cette fin est écrite sur le mur depuis très longtemps maintenant. C’est juste une question du quand, et personne ne connaît la réponse. Et la grande tâche à laquelle sont confrontés de nombreux pays dans le monde en ce moment, et c’est une tâche énorme, c’est la dé-dollarisation. Vous avez quelque chose comme cent quatre-vingts monnaies différentes qui utilisent toutes le dollar américain pour commercer les unes avec les autres, qui ont toutes des listes de prix en dollars, qui se convertissent en dollars pour commercer les uns avec les autres, puis se reconvertissent et utilisent le fait qu’il y a cette énorme réserve de liquidités en dollars qu’ils peuvent exploiter en tout temps quand bon leur semble. Mais l’inconvénient, c’est que chaque fois que quelqu’un négocie avec le dollar américain, il devient partie intégrante de la juridiction américaine et fait l’objet de sanctions américaines. Et il fut un temps où les États-Unis étaient en quelque sorte un bon citoyen – un bon citoyen du monde – qui se permettait de profiter du fait que tout le monde utilise le dollar américain. Maintenant, il y a d’énormes avantages pour les États-Unis. Mais en retour, ils permettaient aux gens d’utiliser le dollar comme ils le souhaitaient. Mais maintenant, avec Trump en particulier, avec ses politiques commerciales, les États-Unis exigent que d’autres pays utilisent le dollar dans l’intérêt économique des États-Unis et à leur propre détriment. Et c’est là que tout le monde se réveille et le remarque. Mais il s’agit ensuite de dé-dollariser, et c’est une tâche énorme, car la Chine n’est pas vraiment prête à remplacer le dollar par son propre yuan. Personne ne s’attend vraiment à ce que la Chine intervienne et joue un rôle aussi important aussi rapidement. La Chine met généralement beaucoup de temps à faire de tels ajustements et fait de nombreux petits pas. Et personne d’autre ne veut vraiment le faire non plus. Donc, nous sommes dans une période où il y aura beaucoup de demi-mesures, beaucoup de mesures forcées seront prises si la situation se détériore soudainement. Mais je pense qu’il y a de très bonnes chances que le commerce international et les chaînes d’approvisionnement internationales subissent beaucoup de dommages si ces liquidités en dollars s’évaporent, parce que les deux seules façons, et c’est en fait la même, de sortir de cette crise dans laquelle les États-Unis se sont mis avec le taux de croissance totalement insoutenable de leur endettement, est soit un effondrement déflationniste soit un effondrement inflationniste, ou une combinaison des deux. On risque de voir les prix baisser dans certains domaines et une hyperinflation dans d’autres. Il y aura d’énormes distorsions économiques et le reste du monde devra simplement coexister. Ils ont une réserve de dollars, ils utilisent cette réserve de dollars pour commercer entre eux, ils ont des contrats signés qui sont tous en dollars. Alors, comment peut-on dé-dollariser ça ? C’est une tâche gigantesque. GR : Oui, je m’intéresse un peu à votre façon de voir… les messages des médias au sujet de ces réalités, parce qu’ils semblent provoquer de fortes diversions. Je veux dire qu’il y a les attaques de longue date…. Eh bien le … Russiagate, les attaques contre Trump que nous voyons de façon continue, je veux dire qu’il y a beaucoup de choses ridicules à ce sujet et particulièrement… ce que nous avons vu récemment dans cette affaire Skripal. Et ça… Ce qu’ils essaient d’expliquer, c’est qu’il y a ces deux ex … cet espion qui a été assassiné par ces deux agents russes, et cette histoire semble s’effondrer au fur et à mesure que vous la regardez de plus prêt. Il semble bien que, comme Theresa May et ses alliés, les médias retro-pédalent autour de ce récit défaillant. Que pensez-vous de la façon dont les médias continuent de propager cette mythologie sur la Russie et … sa toxicité sur la scène internationale ? S’agit-il d’une manifestation… Y voyez-vous une manifestation de votre thèse de longue date sur l’effondrement, l’effondrement de l’Empire ? DO : Eh bien, je pense que l’Occident, l’Occident dans son ensemble, s’est heurté à la Russie comme une sorte d’objet inébranlable qui lui est totalement indigeste, qui ne peut être traité. Et cela coïncide avec une baisse catastrophique de la qualité du leadership occidental. Qu’il s’agisse de Trump, de Theresa May, d’Emmanuel Macron ou de tous ces récents dirigeants européens, à quelques exceptions près, ils sont tous absolument incapables d’être cohérents, sans parler de formuler une stratégie ou des plans. Ils échouent, et tout le monde voit qu’ils échouent, et ils ne peuvent pas s’en empêcher. Ils se contentent de continuer le récit qu’ils ont concocté. Avec l’affaire Skripal, c’est grotesque. Il n’y a absolument aucune preuve derrière l’histoire britannique, et il y a beaucoup de faits qui sont tout simplement complètement contradictoires et qui nient le récit qui a été exprimé. Les Russes sont donc heureux de rester les bras croisés et d’ignorer tout cela. Ils savent qu’il y aura des sanctions, que ces sanctions n’ont rien à voir avec les armes chimiques, qu’elles n’ont rien à voir avec quoi que ce soit d’autre : la Russie est assise sur un stock de ressources énergétiques qui va durer des centaines d’années. Et elle a assez pour exporter aussi longtemps qu’elle le juge bon. Mais en réalité, elle veut devenir indépendante des exportations d’énergie, et c’est un gros problème pour l’Occident, car l’Occident n’a absolument aucune stratégie pour devenir indépendant des importations énergétiques russes. Il n’y a rien qu’il puisse faire à ce sujet, sauf essentiellement faire tout ce que la Russie est prête à faire pour lui, accepter de coopérer avec la Russie. Il est fondamentalement en train de sauter dans tous les sens parce qu’il a ce problème qu’il ne peut pas résoudre. Il ne peut pas attaquer la Russie militairement. Il essaie d’attaquer la Russie sur le plan économique, mais cela ne fonctionne pas. Il essaie d’isoler la Russie et, de ce fait, la Russie renforce ses liens avec des pays du monde entier. L’organisation de coopération de Shanghai représente aujourd’hui près de la moitié du PIB mondial, soit près de la moitié de la population mondiale. Et c’est une organisation de sécurité dont la Russie fait partie. L’Occident essaie de mettre en scène de petites provocations comme les petits exercices d’entraînement le long de la frontière russe dans les pays baltes qui sont censés effrayer la Russie. Maintenant, si l’OTAN attaquait la Russie, la Russie la stopperait. Cela n’a pas vraiment de sens en tant que plan, mais cela a un sens en tant que récit interne, quelque chose que ces dirigeants occidentaux incompétents peuvent dire à leur propre peuple. GR : Dmitry, je pense que nous allons en rester là, mais je tiens vraiment à vous remercier. J’apprécie vraiment votre façon de penser unique et avant-gardiste et les idées que vous partagez avec nous et nos auditeurs. Merci beaucoup de vous joindre à nous. GR : Nous avons parlé avec Dmitry Orlov, ingénieur, écrivain et blogueur russo-américain. Vous pouvez voir plus de ses articles sur le site cluborlov.com.